The actual core Android OS is open source. But as you may already know, there is an increasing number of proprietary, first-party Google applications in what most of us think of when we talk about “Android.” These apps range from the Google Play Store to Hangouts to Maps, and everything in between. And with each passing OS version, they seem to be metastasizing into new facets of the OS previously untainted by proprietary apps. Roughly six months ago, we talked about a project by the Free Software Foundation aimed at creating a truly open source mobile OS. At the time, the project was based on Android 4.0. 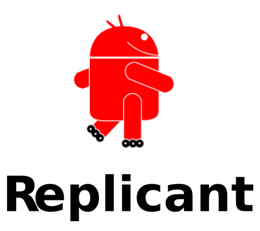 But ever since CyanogenMod 10.1.3 was released in September, work has in progress to update the Replicant project to Android 4.2. Now thanks to the one-coder-team’s hard work, Replicant version 4.2 is here. On the device side, device support is largely the same, offering updates for all devices capable of running Replicant 4.0. However, some devices have speed issues that have yet to be resolved. But on the bright side, support was added for the Galaxy Note II N7100 due to its similarities to the already supported Galaxy S III. If you’d like to learn more about the replicant project, head over to their blog to learn about version 4.2 and head over to their Wiki to read up on supported devices and learn how to build and use it for yourself. Then once you’re done loading it on your device, head over to our Android Development and Hacking forums to get in on the action. What are your thoughts on the Replicant project? Does being fully open source matter to you, or are you happy running proprietary apps on your Google Android device? Let us know your thoughts in the comments below!